I’ve been away from home this week from Monday morning till last night. While I was away, I had internet access on my phone but I tried not to check it too much and to instead focus on enjoying my surroundings and spending time with a lot of friends that I don’t get to see very often. I’ll write a longer post soon about my trip away hopefully over the coming weekend (Sleater-Kinney gigs in Manchester and London) but I missed writing my TTT this week so here it is. 1. 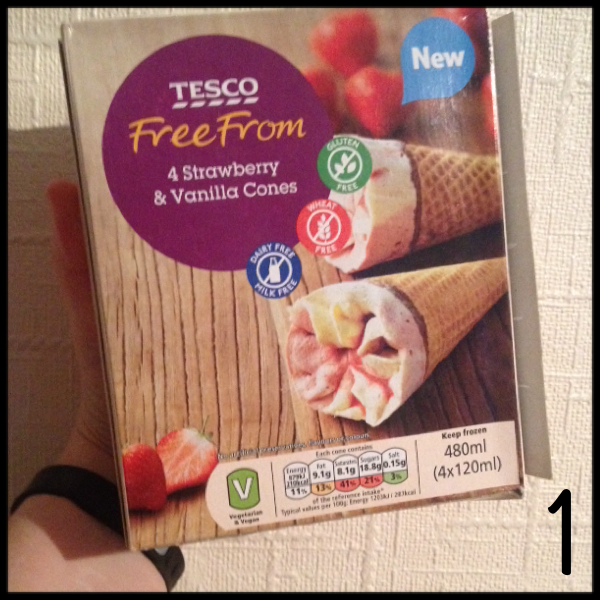 A wave of excitement went round Twitter and Instagram last week when UK vegans started spotting these cones in their local shops. To my surprise my local Tesco metro stocks them so I just had to get some to try too. The verdict? Pretty damn good! 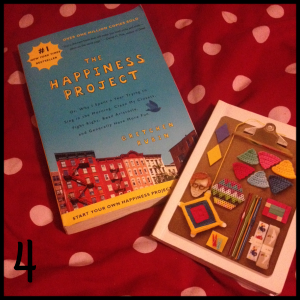 Not too overpriced at £2 for 4. The ice cream is creamy. I would say that the sauce is more like a fruit sorbet than say the sauce on a Cornetto. 2. 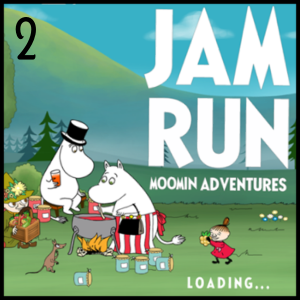 There is a cute new iphone game out featuring Moomins called Jam Run. 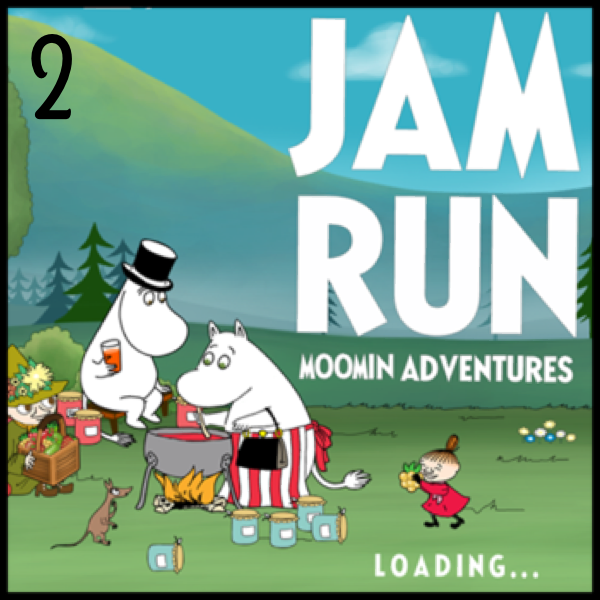 I’ve been playing it this afternoon and it’s free (although does have adverts at the bottom) You can find the info about it as well as other Moomin related stuff at the website. 4. I’m bursting with ideas and inspiration at the moment. I brought this book secondhand in Manchester yesterday and its giving me a lot to think about. The author also has a blog which is here although I have yet to read that. I was a little trepidatious when I first saw how many people seem to give it 1* reviews on goodreads (including 2 friends of mine) but it’s given me a lot to think about and although I’m only about half way through, I feel as if I’ve already got a lot from it. The notepad in the picture was a gift from a friend and I’ve been carrying it around with me for a few weeks. It’s filling up with lists, ideas of things to look at further, notes to myself, doodles and pieces of writing that will hopefully make their way into zines and blogposts. 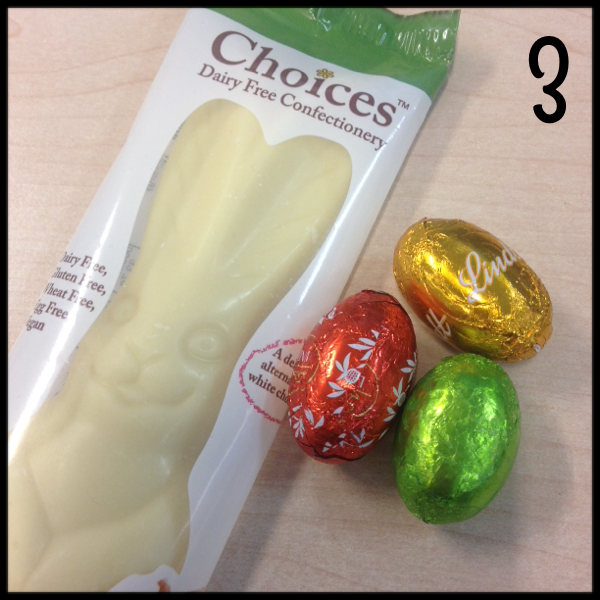 Those icecream cones and the white chocolate bunnies are all I really want to eat these days…. SO GOOD!